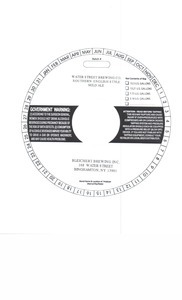 Water Street Brewing Co. Southern English Style Mild Ale is brewed by Water Street Brewing Co. in Binghamton, New York. This brew is served on tap. We first spotted this label on May 26, 2013.